Max Wallack is a 16 year old college sophomore at Boston University. From the age of 6 through 10, he was a caregiver to his great grandmother who lived with his family. After her death in 2008, he founded a nonprofit organization, PuzzlesTo Remember, that has distributed over 19,300 puzzles to over 1700 Alzheimer’s facilities around the world. Max is also an editor on the AlzheimersReadingRoom.com, where he provides information and advice to Alzheimer’s caregivers. 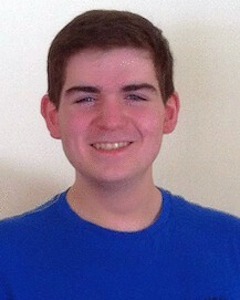 At Boston University, Max is a neuroscience major, planning to pursue a career in Geriatric Psychiatry. He volunteers 20 hours a week in the Molecular Psychiatry and Aging Laboratory at Boston University School of Medicine, where he studies various enzymes involved in Alzheimer’s disease, under the mentorship of Dr. Wendy Qiu. Max will be presenting his research at the 2013 American Association for Geriatric Psychiatry’s annual conference.